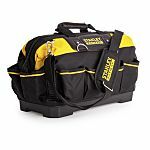 A tool bag is an alternative to the more bulky tool box or chest for storing and transporting your tools and equipment. 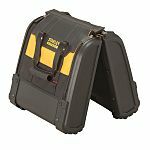 Many tradespeople, contractors, hobbyists or general DIY enthusiasts choose the tool bag because of the pouches, making it easy to locate your favourite tool when you need it. Some find that a backpack bag is easier to carry when there is restricted space. Tool bags are available in many different styles, sizes and materials, with or without shoulder straps.